Xizang, China, August 5, 2017 - Tibet tours will now be offering visits of Mount Kailash. This is a critical part of China to the Indians as it is important to the Buddhist and Hindu faiths. Mount Kailash is a prominent mountain in Tibet where the Ganges, Indian and Yarlung Zangbo Rivers all originate out of. It is here where Indians pay their respects to many key figures in the Hindu and Buddhist faiths. Tibet tours are especially becoming popular as people are finding it easier for them to get to this part of the region. There have been boundary concerns that have caused tensions in Sino-Indian relations in recent time. Boundary issues have developed in that it is difficult for many in India to make the trip up to the mountain while also making it tough for people to find visas. Even with the limits in terms of how Indians can reach Tibet, many in the country continue to make pilgrimages to the area. Many are willing to spend large amounts of money to do this while waiting years to possibly get a visa. Such pilgrimages are held as a means of respecting many of the key religious figures that many in the country respect. To the Buddhists, the mountain is considered to be the best place to worship the Buddha Shakyamuni. It is also considered to be the home of the Buddha Demchok, a figure that is representative of total bliss and peace. The Hindus also see it as the holiest of all mountains in the region. It is believed to be the palace of Shiva, one of the most important gods in the faith. Many believe that he rests in the mountain in a perpetual state of meditation. Many Indians believe that it is a necessity to go on a pilgrimage to Mount Kailash at least once in one’s life if it is possible for a person to do this. Those who do choose to go on a pilgrimage will need all the willpower one can handle as well as a strong mind and body in order to make it to this part of India. Tibet tours are opening up to those aiming to see what many Indians feel will provide people with full blessings throughout their lives. This comes even as it is often a challenge to make it up the mountain due to the various snow storms and other difficult land masses that can be found en route to the mountain. The decision by the Indian government to withdraw some of its troops from China have helped to improve Sino-Indian relations but even with this, there are still some concerns between people in the two countries. The efforts of a Tibet travel agent to offer trips to the area have especially been vital considering how appealing travels to the area can be. Pilgrimages and Tibet tours up to the mountain have become slightly easier in recent time. This comes as China has opened a new land crossing into Tibet to make it easier for people to enter into the area to reach the mountain. This was developed as a means of creating religious understanding between China and India. There have been efforts to try and make it easier for people to attain visas to get into this region as well. The key is to make it easier for those who are older or weaker to be able to reach the mountain without the extensive physical or legal boundaries that often get in the way. However, it can take days to reach the mountain on a typical pilgrimage. Travels to various added lakes and other bodies in the area are also included as a means of helping people to get closer to their religious values. 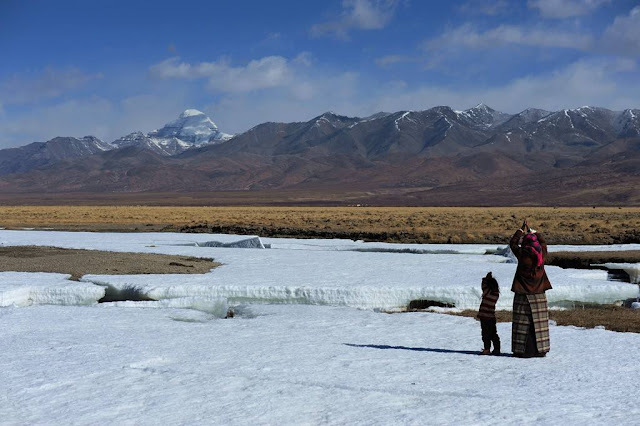 People can get in touch with a Tibet travel agent today to learn more about Mount Kailash and how to travel to this important part of the land.